Meanwhile… take some time this week to remember your original happy hour: Saturday mornings as a kid, waking up at dawn, jumping on the couch with a bowl of chocolate cereal, turning on the ‘toons, tuning out the outside world and working your way into a sugar hangover before noon. 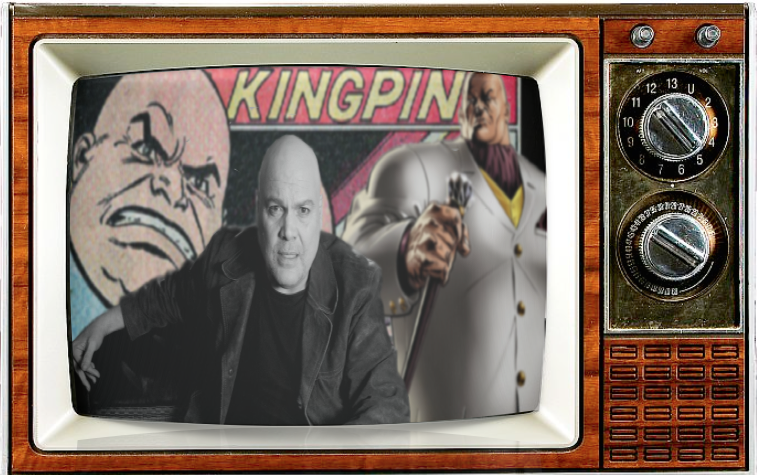 This week Grim, Marke & Johnny Heck honor the “Kingpin” of actors Vincent D’Onofrio, the strange career of Meat Loaf and flail miserably trying to convey from one point to another in this most beautifully broken episode. To start things off, we look back on the first and only animated reality show Drawn Together and how it fits in the evolving world of cartoons for adults. From Beavis & Butthead to Big Mouth, we probe the crevasses of animated TV greatness. Also, you can win the entire season of Drawn Together on DVD! Speaking of conveying and characters that were drawn together, we callback one of the all-time great comedies, Planes, Trains, and Automobiles. Was that segue a bit of a stretch or are we celebrating the 30th anniversary of this surprisingly R-Rated John Candy – Steve Martin comedy classic with FREE Blue Ray/DVD giveaways? Maybe you should listen and find out! Finally, we draw you in with exclusive audio from a 2017 San Diego Comic-Con roundtable interview with legends Vincent D’Onofrio and Meat Loaf talking about their new SYFY supernatural hit Ghost Wars. PREVIOUS POST Previous post: Cult of Chucky Is Here!